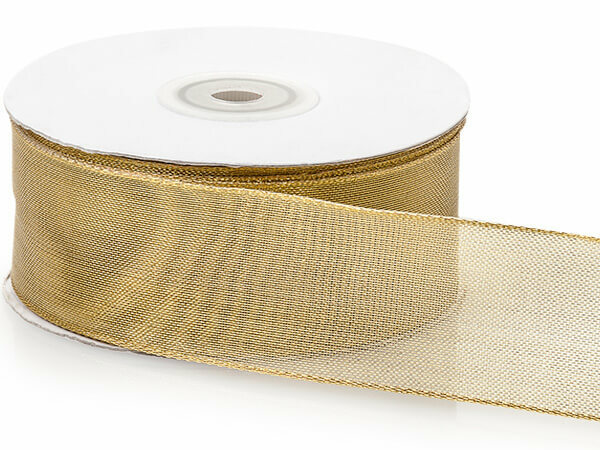 Gold Wired Metallic Mesh Ribbon makes great bows! 1-1/2" x 25 yard roll! Made of 30% Polyester, 70% metallic yarn. Perfect for weddings, Christmas, Valentine's Day and florists!